China’s annual legislative session, which closed last week, was not a particularly newsworthy event despite being the subject of many news stories. It featured many unedifying public displays of loyalty to General Secretary Xi Jinping, and even less dissent and debate than than usual. In the current Chinese climate where frank discussion of economic problems and constructive criticism of economic policy is very rare, the intervention during the session by former SOE executive Fu Chengyu was I thought fairly noteworthy. Fu previously ran two of China’s biggest SOEs, CNOOC and Sinopec, and was widely considered an effective, forward-looking and market-oriented executive. It’s not surprising that Fu is critical of the current program of state-owned enterprise reform; just about everyone who has looked at it has come away pretty depressed. What’s interesting is that he is both willing and able to speak his mind. The following is my translation of his statement on March 9, as reported by Xinhua (the Chinese original is here); it’s a bit dense with Chinese policy jargon, but the main thrust is still pretty clear I think. 1. We cannot confuse reforming the supervision of state assets and enterprises with the reform of state enterprises themselves, and we cannot use reform of the supervision of state assets and enterprises to replace state-enterprise reform. Today there are some prominent and widespread phenomena in the national implementation of state-enterprise reform. The first is a focus on reforming the supervision of state assets and enterprises, and a weakening of the reform of state enterprises’ own management and operational systems. In some places this supervisory reform has replaced enterprise reform. The second is that the Third Plenum’s call for a transition from “managing state assets” to “managing state capital” has been weakened. The third is that “mixed ownership reform” is seen as a restricted area, and so reform is excessively timid and cautious. The fourth is that internal reforms for the vast majority of state enterprises, particularly reforms to allow the market to play a decisive role in the allocation of resources, have basically not gotten off the ground. Lots of people are watching from the sidelines and not many people are doing anything; most enterprises are waiting and few enterprises are actually trying something. 2. It is not clear who should be the main actor in state-enterprise reform, and an impetus for reform is lacking among enterprises. First, in terms of reform implementation, different levels of government have in reality already become the main driver of reform, while enterprises are just implementing the reforms. When enterprises are not fully participating in the design and planning of reforms, it is difficult to be optimistic about the results. Second, reform in fact means innovation, and innovation cannot be ordered from the top down, but must be explored from the bottom up. Regulatory agencies cannot control every aspect of reform, and cannot just issue a lot of documents to direct state-enterprise reform. Third, because the agency for reform has been moved up to the government, this has created a discordant situation: what the government wants to change is very difficult to change, while what enterprises want to change they dare not change. First, clarify the main actors in reform and highlight the main goals of reform. The principle of the separation of ownership rights and operation rights should be followed to allocate responsibility for state-enterprise reform. The regulatory agencies at different levels of government are the owner’s representative for state-owned assets and have regulatory responsibility for state-owned assets and state-owned enterprises, so they should be the main driver for reforming supervision of state assets and state enterprises. State-owned enterprises are the responsible authority for operating state-owned assets, so they should be the main driver for reforming operation and management, and should take responsibility for state-enterprise reform. I suggest that the regulatory agencies at different levels of government delegate authority for reforms internal to state enterprises to the enterprises themselves. Government agencies can handle the overall direction and principles, and be in charge of supervision. Enterprises should be allowed to draft their own reform plans, in accordance with national laws and regulations and relevant policies on state-enterprise reform, so that responsibility for reform passes to enterprises and their executives. Second, create an environment that creates incentives for reform and protects those who take the initiative. The glorious achievements of state enterprises over more than 30 years of reform, and the important contribution of enterprise leaders to state enterprises’ development, should be fully affirmed. Policies to encourage and protect enterprise leaders who undertake daring reforms should be drafted, to create a specific, feasible, and fault-tolerant system. I also suggest that auditing, disciplinary and personnel agencies develop related policies to incentivize reform and protect initiative in their respective areas. Third, focus on making breakthroughs in mixed-ownership reform. 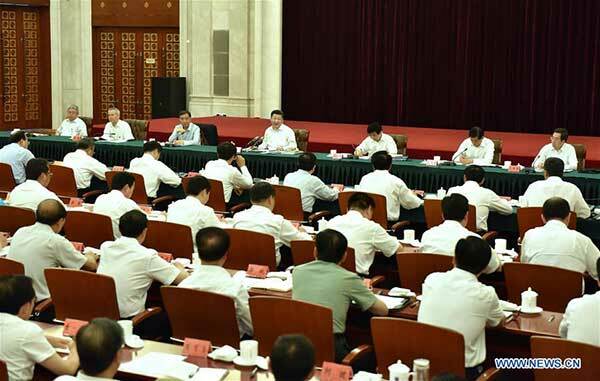 The Central Economic Work Conference proposed mixed-ownership reform as an important opening for a breakthrough in state-enterprise reform, and this is very significant. I suggest that the scope of enterprises in trials of mixed-ownership reform be expanded, and that the current trials of mixed-ownership reform at third-tier subsidiaries be expanded to second-tier subsidiaries and even to the group level. This will increase the dynamism of state enterprises’ own reforms, and also show China’s efforts at deepening reform; it will also attract large amounts of private capital back to the real economy, thereby lowering financial risk. If our delegates all spoke as directly as Fu Chengyu, pulling together public opinion so that the soul of the people can develop, then there would be great hope for China’s state-enterprise reform, and the dream of the rejuvenation of the Chinese nation will eventually be fulfilled. I hope China will have more heroes of reform like Fu Chengyu. Here is a nice little piece of oral history covering some important episodes in the early history of China’s economic reforms. The translation below is an excerpt from a longer interview with Yang Qixian, a scholar who participated in the reform process in the 1980s (Chinese original here). I like it because it includes both some vivid practical experiences and some theoretical insights. As Yang recalled, because at that time the electricity supply was inadequate, many families used kerosene lamps. The glass chimneys for the kerosene lamps were a commodity whose supply was planned, with the price fixed at RMB0.06. Because they couldn’t make money [at that price], enterprises did not want to produce the lamp chimneys. One residential community could get a quota allocation of one or two every few months, which would then be distributed. The lamp chimneys would first go to the hands of the community leader or production team leader, who could give them to whoever they wanted. Because there was a shortage of lamp chimneys, when people wanted to buy one they would have to treat the team leader to some food and booze; only by having a good relationship could they get the quota. The members of the working group on the comprehensive reform pilot discussed this phenomenon, and decided to liberalize the prices of some small commodities that were not of critical importance, and allow enterprises to organize production according to market demand. The Changzhou comprehensive reform pilot used the kerosene lamp chimneys as an experiment, and the effect was of course very obvious: the supply shortage was solved very quickly. Yang Qixian recalled that after the price of kerosene lamp chimneys was liberalized, it rose to RMB0.2, a big increase from RMB0.06. “We asked people if they were upset about the price increase, and they said no. The reason they weren’t upset is that before they could sell three eggs for RMB0.06 and buy one glass chimney, now they can sell three eggs for RMB0.2, which can still cover the cost of one chimney,” Yang said. Afterward, the working group wrote a short report about the experiment, and Hu Yaobang [at the time, General Secretary of the Communist Party] immediately approved it; he felt this was a very good example, and that the prices of small commodities should be gradually liberalized. The situation of the “tiger stoves” was similar to the kerosene lamp chimneys. At that time, for people to boil water they had to fire up the coal stove. Because coal was in short supply, in order to conserve coal they would organize “tiger stoves” [in the area around Shanghai, a traditional name for a local store providing hot water, tea and even baths]. The water jugs were lined up on the stove, and once the water boiled you only had to spend RMB0.01 to fill a jug and take it home. But tiger stoves could only be run by a collective, and so there were only a few in each city. When people wanted hot water, they would have to walk a long way–it was really not convenient. In the Changzhou reform trial, the working group decided to allow individuals to run tiger stoves, and also allow them to buy coal. Because of this loosening, the number of tiger stoves multiplied, and the price did not rise. People did not have to go so far to get hot water. The working group also wrote up this example in a report, and Hu Yaobang approved it, saying that small businesses should not be excessively restricted, and must be liberalized. It is quite amazing that a discussion about hot water supply in one city of one province went all the way to the top of the Communist Party hierarchy. Another event that made a deep impression on Yang was the International Symposium on Macroeconomic Management held in September 1985, which was a landmark in the history of China’s reform and ideological emancipation. Because it was held on a boat called the “Bashan,” running from Chongqing to Wuhan, the media and scholars have called it the Bashan boat conference. …Foreign experts attending the meeting included Alec Cairncross from the UK, James Tobin from the US, Otmar Etminger from West Germany, Michel Albert from France, Janos Kornai from Hungary, Kobayashi from Japan, as well as Edwin Lim and Adrian Wood from the World Bank. Representatives from China included Xue Muqiao, An Zhiwen, Ma Hong, Liu Guoguang, Gao Shangquan and other scholars and workers, for a total of more than 30 people. As one of the organizers, Yang Qixian drafted the conference synthesis report. Yang recalled that, although it was only a seminar, and the meeting was not long, it still had a far-reaching impact. The reason is that in the earlier stages of reform and opening up there was a lot of controversy about what the goal of reform should be. In 1984, the Third Plenary Session of the 12th Central Committee clearly put forward the concept of a “planned commodity economy.” But how exactly should a commodity economy be run? What should be the target and the model? What reforms are needed to establish a commodity economy? At that time their views affected us greatly. For instance, Kornai of Hungary suggested that there were only two kinds of macroeconomic management in the world: one regulates mainly through administrative methods, the other regulates mainly through market methods. The first category can be divided into direct administrative regulation, such as the Soviet model, and indirect administrative regulation, such as the Yugoslav model. The second category can be divided into completely uncontrolled market regulation and market regulation under macroeconomic management. Kornai said that China should follow the model of market regulation under macroeconomic management. “These ideas were a great inspiration to us at the time, and later the target model of our reforms basically followed this line of thought,” Yang said. These stories are great, and very appealing in their straightforward simplicity, though hindsight probably makes the decisions seem easier than they actually were at the time (the Bashan boat conference and Kornai’s influence have come up before on this blog, in this post). We’ve been hearing a lot about the economic and political problems of America’s Rust Belt lately, so perhaps this is a good time to take a closer look at the slow-motion crisis that is unfolding in China’s northeastern Rust Belt. The Chinese newspaper Diyi Caijing (aka Yicai Media or China Business News) has over the past two months run a four-part series about the emerging demographic problems in the Northeast, and I think it pulls together what is known about the issue quite well. Below I translate excerpts from all four articles, which I’ve reorganized a bit by topic (the original reports are here: Part 1, Part 2, Part 3, Part 4). The Northeast has a low birthrate, and population growth is stagnating. As early as 1982, the the total fertility rate in the three provinces of Liaoning, Jilin and Heilongjiang had fallen below the global replacement rate [of 2.33], to 1.773, 1.842 and 2.062 respectively, noticeably below the national average of 2.584. Afterward, as the one-child policy was implemented, the total fertility rate of the Northeast fell below 1.0, and in 2010, the the sixth population census showed that it was only 0.75. What’s behind this fertility situation? There are a lot of state-owned enterprises in the Northeast, and they strictly implemented the one-child policy, so there were not many excess births. As the “first born” of the People’s Republic, industrialization was earlier and more extensive in the Northeast than in other places. 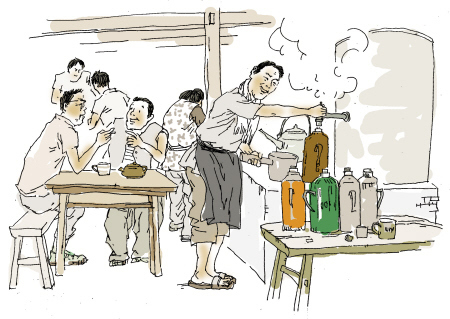 Large state-owned enterprises across the three northeastern provinces provided people with an enviable “iron rice bowl,” but also more stringent birth control. A 58-year-old Harbin taxi driver, Mr. Zhu, told this reporter that in those years, when he used to work at a state enterprise, the pay was high, the benefits were pretty good; he had a lot of face and more confidence in finding a partner. Everyone valued those state-enterprise jobs, so very few people were willing to lose the iron rice bowl in order to have more children than allowed. Even in the countryside, because of the large numbers of state farms and state forests, people needed to keep their iron rice bowls, so very few dared to violate the family-planning rules. “All these years, among my colleagues, relatives, friends, there is not one who violated the family planning policy. Doing that would mean unemployment, so who would dare?” Mr. Zhu said. Aside from the family-planning policy, a high urbanization rate is another important factor depressing the fertility rate in the Northeast. Research shows that the fertility rate is inversely related to the urbanization rate–the higher the urbanization rate, the lower the fertility rate. Urbanization in the Northeast preceded rest of the nation by decades. Statistics show that in 1975 the national urbanization rate was 17%, but in the Northeast it was already 35%; in 1990 the national rate was 26% and the Northeast was 48%; in 2010, the national rate reached 50%, but the Northeast was already 58%. The Northeast was once a place that attracted a major inflow of people–the “Chuang Guandong” [the massive migration of Han Chinese to Manchuria from the late 19th century through the 1940s] has even today left a deep impression in many people’s memories. But a net inflow of population is now history. According to the Liaoning Blue Book published by the Liaoning Academy of Social Sciences, the fifth population census of 2000 showed there had been a net inflow of 360,000 people into the three northeastern provinces over the previous ten years, but the sixth population census ten years later showed there had been a net outflow of 2 million people. Luo Dandan, a researcher at the Heilongjiang Academy of Social Sciences, has spent years following up those survey results, and says that the outflow of people from the three northeastern provinces has sped up in recent years. Looking at individual cities, the trend of population outflow is also very obvious. Figures from the municipal statistics bureau of Qiqihar [in Heilongjiang province] show that city had net outmigration of 37,779 people in 2014; the figure was 25,381 people in 2013, so the the outflow is accelerating. Luo says that in peacetime most population movements are for economic reasons, and that it is uneven economic development in different regions that drives workers to move to places with better job opportunities and higher wages. According to the National Bureau of Statistics, the average urban wage in the Northeast was 57,319 yuan in 2015, below the national average of 62,029 yuan. Such an obvious gap in income levels drives many young people and technical personnel to choose to “migrate to the southeast like the peacock.” According to a cadre in the Heilongjiang province human resources and social security system, the outflow of university graduates is a major concern for him. Every year in the graduation period of May and June, the hotels near the Harbin Institute of Technology are fully booked with recruiters from Zhejiang and other coastal provinces. Because the birthrate is low, the aging of the population in the Northeast is quite serious. According to Liu Kegu, a former vice-governor of China Development Bank, the median age of China’s population was 38 in 2015; but in the Northeast, it was 43, a level that the whole country is not expected to reach until 2027. One direct impact of an aging population is the burden of pensions. The dependency ratio of corporate pensions (the ratio of the number of workers in the pension program to the number receiving a pension) is 1.55 in the Northeast, far below the national average of 2.88. Liaoning is 1.79, Jilin is 1.53, and Heilongjiang at 1.33 is the lowest in the nation. The low fertility rate has created a serious problem of fewer young people. Demographic statistics show that the Northeast’s share of youthful workers aged 20-39 has fallen from 10% in 1982 to 8.1% in 2010. And in 2010 the Northeast’s share of the population aged 0-19 was 6%, which means that in 2030 the Northeast’s share of the 20-39 youthful workforce will be 6% of the national total. Zhou Tianyong of the Central Party School argues that this age group is the main economic force in the population, so the decline in the numbers of this group will have a great impact on the economy through labor supply, consumption, investment and other factors. Another manifestation is the aging of the workforce. In terms of absolute numbers, the working-age population in the Northeast is still quite substantial, but one-third of this population is aged 45-64, so the aging of the workforce is indeed serious. Population movement also further exacerbates the aging of the population in the Northeast. The Northeast has experienced a net out-migration of population for 20 years, and more than 60% of Northeasterners who leave do so for economic or business reasons. An official report has warned that, because of the fertility level and migration trends in the Northeast, the region is already locked into a trajectory of rapid population loss. This reporter has attended many meetings on “Revitalizing the Northeast,” and heard many Northeastern governors and mayors discuss the road to revitalization, but unfortunately not one mentioned that the Northeast is facing a population crisis. Is there are an ideological divide over China’s regional divide? Of course, it’s stretching the truth a bit to say that China’s regional gaps have been narrowing; the widening regional gaps in the current slowdown have been a huge subject of huge public debate. But I’m more interested in what Xi’s comments show what he thinks should be done: of course, regional gaps should narrow; of course, funds must flow from wealthier provinces to poorer ones. So this latest propaganda push seems like a very clear example of the egalitarian-Maoist strain of thought that is still very powerful in Chinese economic thinking. Question: At the same time that the economy is slowing, we have also noticed that the trend of divergence has become more pronounced: the stabilizing and improving trend in the economy of the eastern coastal region has strengthened, but some resource-dependent provinces in the northeast and the west are still experiencing economic difficulties. Some foreign media call this “two worlds.” What signal does this trend of divergence send? In the “new normal,” we need to optimize the allocation of resources, develop new growth drivers, and form a new industrial structure. Therefore the faster divergence happens, the better. Whether we are talking about regions, sectors or companies, one part of them will, following the “80-20 rule,” obtain 80% of the benefits, and stand out from the rest as having a bright future. And there is another part that will experience hardship, but will also learn a lesson and will know what to do next. To me this is not a bad thing. Since China began reform and opening up, the divergence in the economy has accelerated, and in this process there has emerged a group of vibrant regions and competitive sectors and companies with famous brands. After the global financial crisis, divergence in the world economy accelerated, our country entered the new normal, and domestic economic divergence further intensified. Last year, in analyzing the first quarter’s economic trends the Party Central pointed out that as long we actively adapt to the new normal, and focus on innovation and qualitative efficiency, then the trend of development will be relatively good; if not, the pressure will be very great. This year this trend has continued and even intensified, so while some are happy others are worried. In the foreseeable future, amid economic divergence, vibrant regions and internationally competitive sectors and companies will continue to arise, but some regions, sectors and companies will encounter more and more difficulties. … The people in these regions, sectors and companies have now shed their illusions, are relying on themselves, are taking the initiative to promote reform and innovation, and are striving to catch up. The “authoritative personage” is presenting a more classically laissez-faire view, where regional gaps reflect the workings of market forces, and the failures in the backward regions are in fact necessary for them to develop further. Xi himself on the other hand seems to be more comfortable in a more paternalistic and interventionist mode. This of course is not the first time that different parts of the leadership have sent conflicting messages about the economy, and is another indication that the economic strategy at the moment is rather confused. He has declared that it is just as unacceptable to negate Mao’s 30 years in power as it is to speak critically of the 30 years that followed under Deng. He has set side-by-side, on equal footing, a period marked by spasms of mass killing and destruction and an overwhelmingly peaceful era that saw the greatest economic progress in human history. For our Party leading the people in building socialism, there are two historical periods: before “reform and opening” and after “reform and opening.” These are two interrelated periods that also have major differences, but the essence of both periods is that our Party was leading the people in the exploration and practice of building socialism. “Socialism with Chinese characteristics” was created in the new historical period of “reform and opening,” but it was created on the basis of New China having already established the basic socialist system and carried out more than twenty years of work. A correct understanding of this problem requires grasping three points. First, if our Party had not taken the decision in 1978 to carry out “reform and opening,” and to unswervingly push forward “reform and opening,” socialist China would not be in the good situation it is today–it is even possible it could have faced a serious crisis like the Soviet Union and Eastern Europe. At the same time, if in 1949 New China had not been established in a socialist revolution, and accumulated important ideas, materials and institutional conditions, gaining both positive and negative experiences, it would have been very difficult for reform and opening to proceed smoothly. The reason I emphasize this question is because this is a major political issue that, if not handled properly, will have serious political consequences. The ancients said: “To destroy the people of a country, first go at their history.” Hostile forces at home and abroad often write articles about the history of the Chinese revolution and the history of New China–they stop at nothing in attacking, vilifying and slandering, but their ultimate purpose is to confuse people and to incite the overthrow of the Chinese Communist Party and our country’s socialist system. Why did the Soviet Union disintegrate? Why the Soviet Communist Party fall from power? One important reason is that in the field of ideology the struggle was very intense–fully negating the history of the Soviet Union and the Communist Party, negating Lenin, negating Stalin, promoting historical nihilism and confused thinking. Party organizations at all levels hardly did anything, and the army was not under the leadership of the Party. In the end, the Soviet Communist Party, this great Party, was scattered, and the Soviet Union, this great socialist country, fell to pieces. This is a cautionary tale! This is the vision and thinking of a great Marxist statesman. Think for a moment: if at that time we had fully negated Comrade Mao Zedong, could our Party still stand firm? Could our country’s socialist system stand firm? If it does not stand firm, then the result is chaos. Therefore, correctly handling the relationship between socialism before and after “reform and opening” is not just a historical issue, in fact it is mainly a political issue. I suggest that everyone take out the “Resolution on Certain Questions in the History of Our Party Since the Founding of the People’s Republic of China” and read it again. Comrade Mao Zedong was not an isolated individual, he was the leader of our Party until the moment of his death. When we write about his mistakes, we should not exaggerate, for otherwise we shall be discrediting Comrade Mao Zedong, and this would mean discrediting our Party and state. … What we have achieved cannot be separated from the leadership of the Chinese Communist Party and Comrade Mao Zedong. It is precisely this point that many of our young people don’t sufficiently appreciate. The speech changed everything. It was the moment when the Party lost authority, unity and self-belief. It was the beginning of the end. The Soviet system never really recovered from the crisis of confidence created by the speech. How could people continue to believe in a revolution that had killed so many in the people’s name? In leaders who had told so many lies? For the first time the Party was admitting that it had been wrong— not wrong in a minor way but catastrophically. How could it rebuild its credibility? Exactly. I do not see much daylight between Xi Jinping and Deng Xiaoping in terms of their positions on Mao Zedong and Communist Party history. 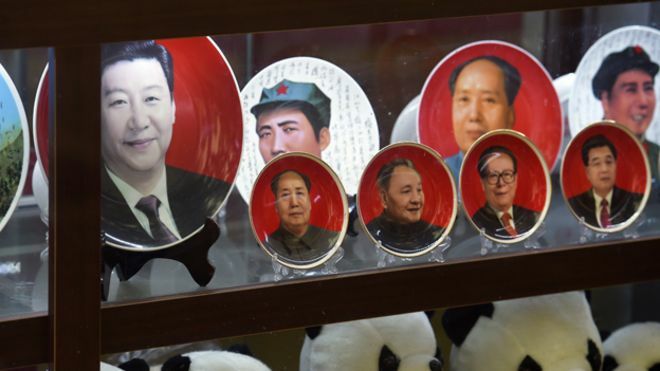 Xi is very much following in Deng’s footsteps here, though he may be departing from Deng’s legacy in other ways. Interviewer: How is the current round of excess capacity in steel different from those that came before? Cai Rang: During the past few years, China did not clearly recognize the historical stage of development that the steel industry had reached. Therefore when steel prices would rise and fall, everyone would think: winter has come, so spring cannot be far off. Because of this kind of thinking, during the previous rounds of capacity reduction there was no consensus on whether the steel industry was really in winter or in spring, and some companies were still pursuing economies of scale [by continuing to expand]. Now, however, the macro environment has changed, and most people believe that the steel industry will not enter another springtime, and the previous glorious phase of rapid development must end. In short, the steel industry has already entered the post-industrial era. Because of this, the effects of the restructuring, mergers, acquisitions and capacity reduction going on now may be different from before. But we must still avoid the old problem of a capacity rebound [after capacity reduction], and steel companies cannot have a “land grab” mentality [i.e., expanding output while others cut output in order to gain market share, because if every company pursues this strategy then output will not fall]. Reducing excess capacity will mean large numbers of firms closing their doors, and this requires both companies and society to shoulder responsibility. Interviewer: On the one hand China’s steel industry has excess capacity, but on the other hand there is still a need to import steel, so how should we understand this issue? Cai Rang: China’s current excess capacity in steel products is a sectoral excess: there is a lot of low-end steel, but the supply of high-end steel is insufficient. The ordinary steel products that China manufactures are not that different from those made abroad, and there are even some technological advantages over foreign companies. But for particular types of steel products there are still about 20 million tons of imports, among which there are about 200 tons of low-volume, high-tech sophisticated steel products that must be imported, such as steel used in airplanes. In the future steel companies will have to transform their development model, and through product upgrading and replacement move in an energy-saving and environmentally friendly direction. Steel companies will need to put a lot of effort into those high-end products that China lacks and cannot yet produce, but they will also need to avoid creating a second round of excess capacity in high-end steel products that leads to a race to the bottom as they vie to drive down prices. Judging from China’s current level of industrialization, there are not many steel products that need large amounts of investment and concentrated development. Those that remain are are all high-end specialized products, and investing in these products is much more demanding in terms of equipment, personnel and operating costs. Interviewer: In order to digest excess capacity, China is exporting a large amount of steel products, and this has led to antidumping cases. What changes do you expect in the steel industry? Cai Rang: China’s current steel production capacity is 1.2 billion tons, but domestic demand cannot completely absorb this capacity. In 2015 China exported about 100 million tons of steel products; this was a relief for domestic capacity but a shock to the international market. Already nine European countries have made antidumping complaints, and Japan, Korea and India have also complained. This shows that our country’s current steel production capacity is not sustainable, and must be genuinely reduced. Now the relevant departments are drafting the 13th five-year plan for the iron and steel industry, and the preliminary plan is to first cut 200 million tons, and eventually stabilize steel capacity around 700 million tons. This will require many companies to exit the market, and those steel companies that remain will experience great changes both internally and externally. For instance externally, the integration of the internet and intelligent manufacturing could cause great changes in steel procurement and sales methods. Internally, the entire production process, the technology configuration, the quality of equipment and the efficiency of production all need to be improved, costs reduced, and energy use and raw material consumption optimized. There are historical reasons for the excess capacity in the iron and steel industry—in the past everyone was desperate to add supply—and today there is still some new capacity awaiting approval from the government. So capacity must be reduced. Interviewer: Can China draw lessons from any international experience in dealing with the excess capacity problem? Cai Rang: During America’s industrialization process, steel was one of its three pillar industries. Then came a wave of bankruptcies, and the whole process was very painful. But now output has come down, and there has been a big adjustment in social attitudes. Gradually funds and labor moved to space technology and aerospace, and now investment is in information technology and the internet. Iron and steel production moved to Asia, and Japan’s steel industry rose rapidly—Baosteel and other Chinese steelmakers were all set up to study Japan’s model at that time. The American city of Pittsburgh used to be the steel capital of the US, but today it has already become a city of education, of culture, of science. They got rid of three big steel plants, and in their place built the biggest shopping mall in the region. The whole city has been completely transformed. We can learn from this kind of experience.